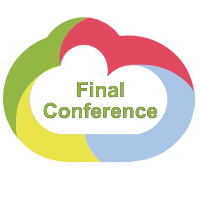 Following is the list of presentations in PDF format that have been presented during the ONLINE S3 Final conference. ONLINE S3 Final conference took place on Wednesday 25th of April 2018 in Brussels. The development process of Online S3 Anastasia Panori, INTELSPACE Innovation Technologies S.A.
ICT for Policy-Making Support: Online S3 Applications and Tools: Christina Kakderi, INTELSPACE Innovation Technologies S.A.